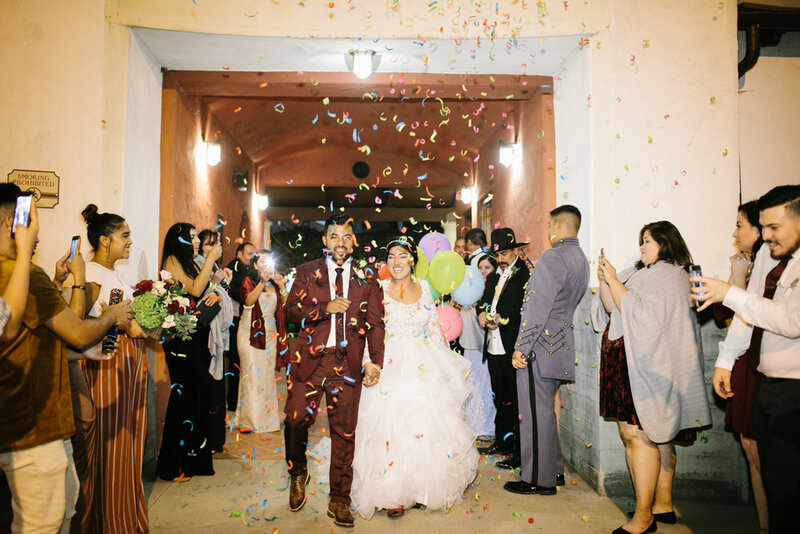 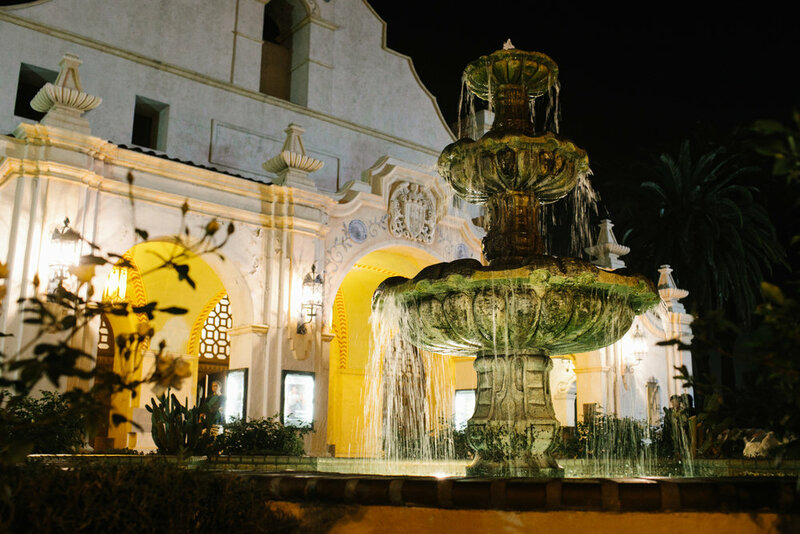 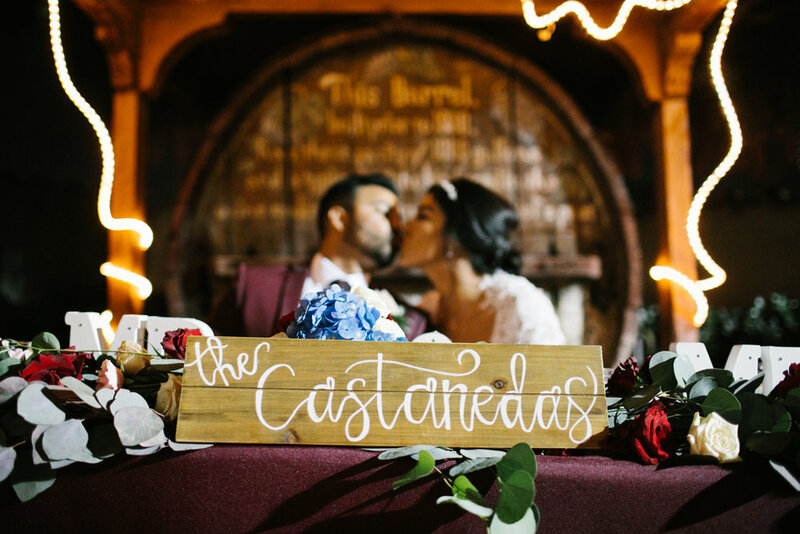 Located in the San Gabriel Mission district, Jazmin and Matt held their wedding outdoors at the San Gabriel Grapevine Arbor. 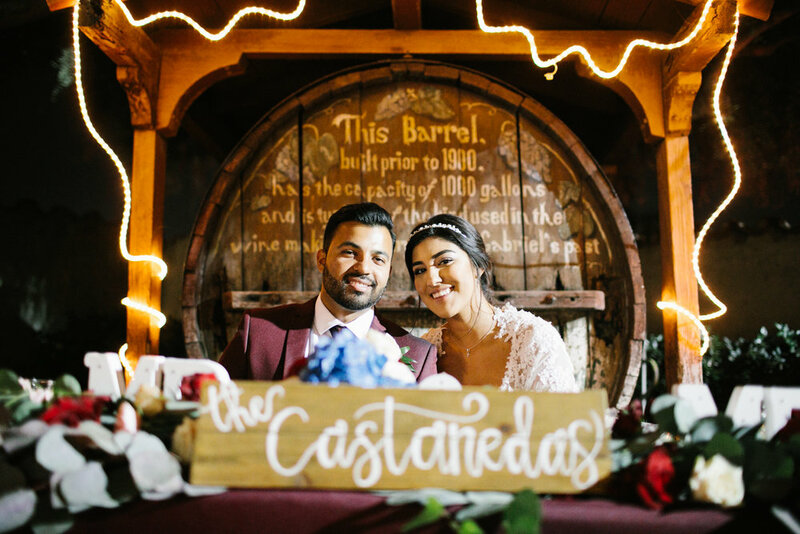 Following the exchange of vows and a traditional mass, the wedding ceremony for Jazmin and Matt soon came to a close as they were pronounced Mr. and Mrs. Castanedas! 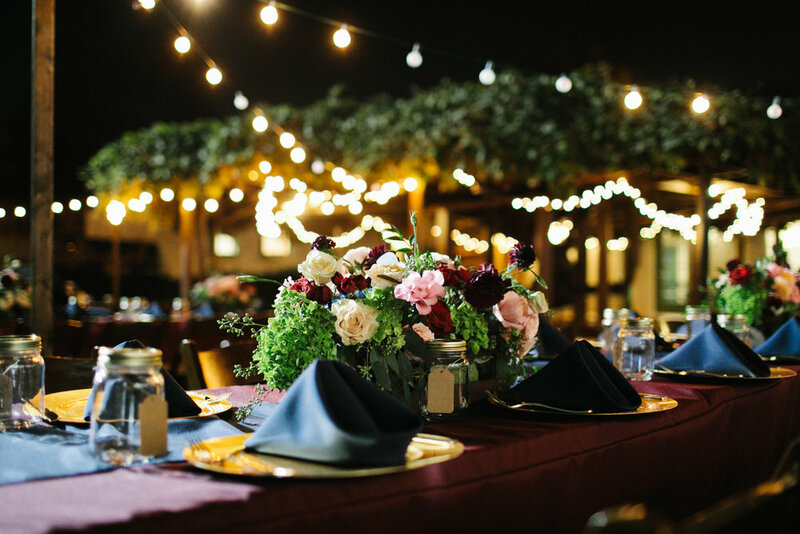 Beautiful florals covered the tables, as dinner for 200 people was catered with cuisine from Soho Tacos. 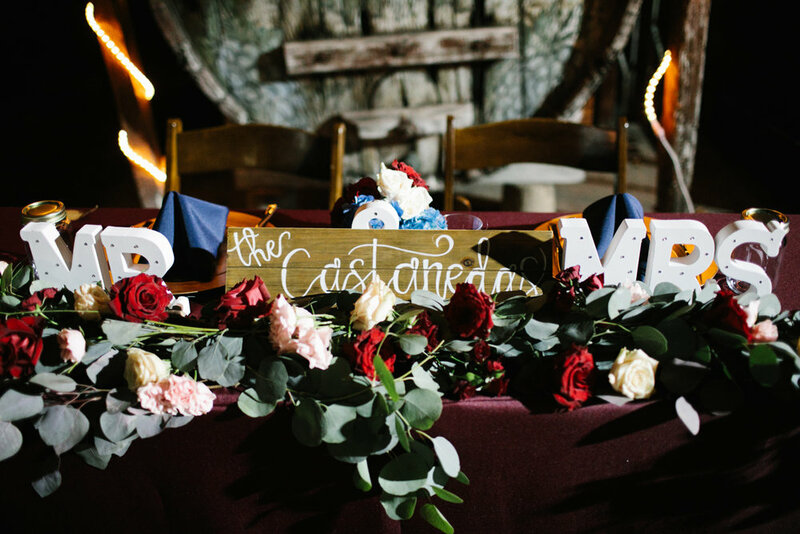 With a cappuccino bar, smore's station and dessert table, guests were filled with delicious sweets. 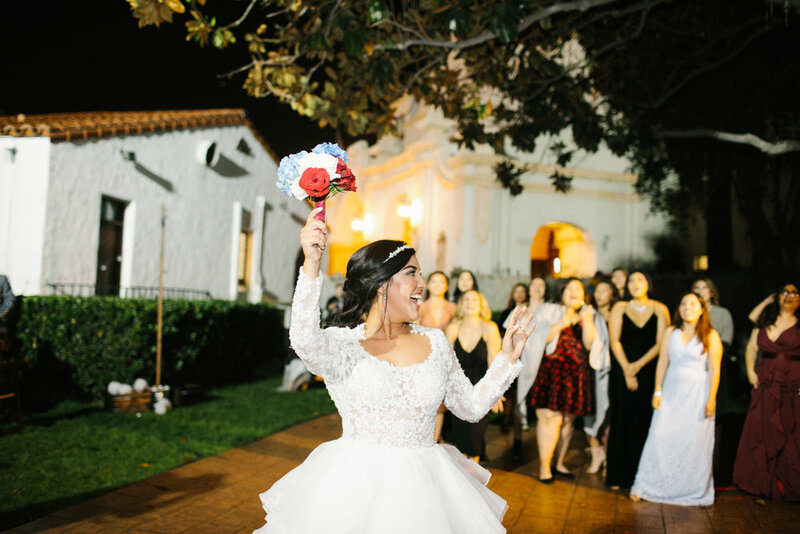 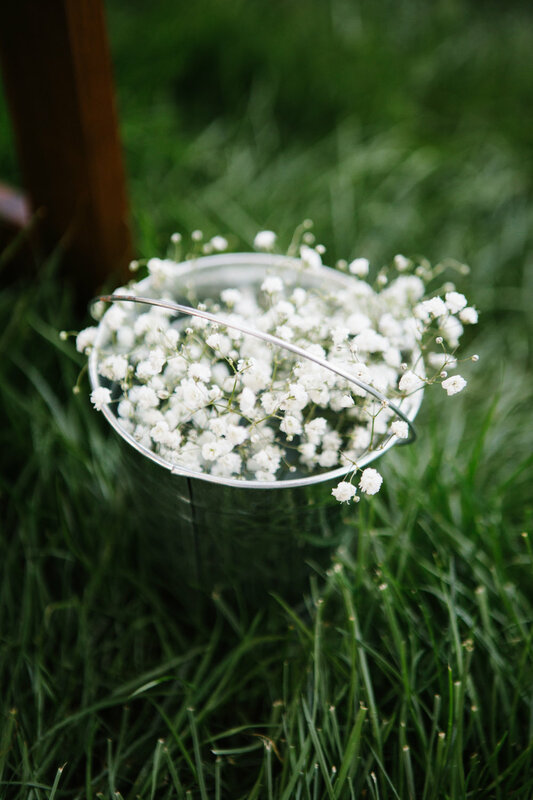 Combining traditional and modern elements throughout, Jazmin and Matt's wedding was their dream wedding come true!